TEL AVIV – Russia has delivered a behind-the-scenes threat to retaliate if airstrikes carried out by the U.S. or its allies target the regime of Syrian President Bashar al-Assad, Middle Eastern security officials told WND. The security officials said Russia complained Sunday in quiet talks with United Nations representatives that the Obama administration’s current aerial campaign against Islamic State fighters in Syria is a violation of international agreements regarding control of Syrian airspace. The officials said Russia warned it could potentially retaliate if U.S. or Arab airstrikes go beyond targeting Islamic State of Iraq and Syria, or ISIS, and instead bomb any Syrian regime targets. 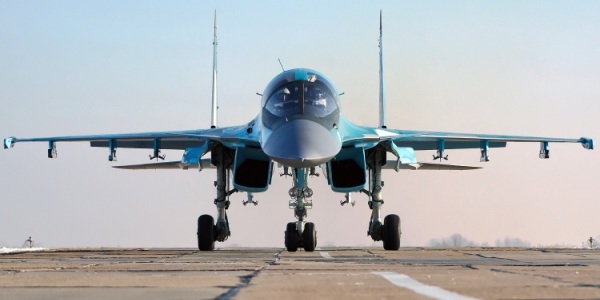 The officials told WND they do not have any information about the seriousness of the Russian threat or whether Moscow meant it would retaliate directly or aid Assad’s air force in a military response. The officials said Russian diplomats asserted terms regarding Syrian airspace were agreed upon last September as part of a sweeping deal to disarm Syria’s arsenal of chemical weapons by the middle of 2014. At the time, the international community feared Assad could target chemical weapons inspectors acting in Syria. That fear in part lead to a deal in which Moscow says it was provided with significant responsibility over the skies of Syria, purportedly to insure against Assad’s air force acting against the international disarmament effort. The officials further said that both the Russia and Iranian militaries are on heightened alert amid the ongoing situation in Syria. On Saturday, U.S.-led coalition warplanes for the first time reportedly struck ISIS targets in Syria near the Turkish border as well as positions in the country’s east, according to activists and a Kurdish officials speaking to the Associated Press. Nawaf Khalil, a spokesman for Syria’s Kurdish Democratic Union Party, or PYD, told the AP the strikes targeted Islamic State positions near the Syrian Kurdish town of Kobani. U.S.-coalition strikes also reportedly targeted a local ISIS headquarters in the northern Syrian town of Tel Abyad along the Turkish border, setting an oil refinery ablaze. “Our building was shaking and we saw fire, some 60 meters (65 yards) high, coming from the refinery,” local businessman Mehmet Ozer told Time Magazine. Time reported the strikes were also confirmed by the Britain-based Syrian Observatory for Human Rights and were reported by Turkey’s Dogan news agency. Pelosi’s District: 132,562 Human Waste Incidents Reported In Far-Left San Francisco.